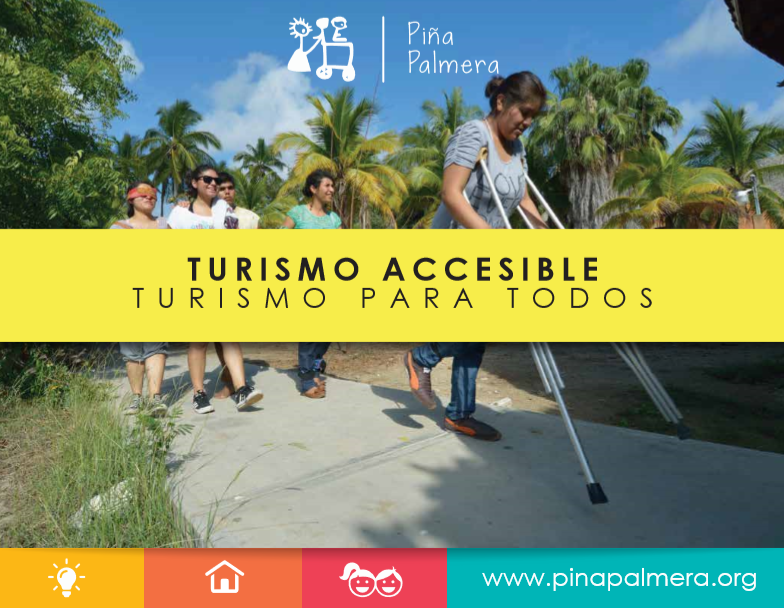 Self-sustainability and Independent Living – Piña Palmera A.C.
Piña Palmera promotes systems of economic development for people with disabilities and their families in the communities where we work. To that end, we hold workshops and teach methods of rehabilitation that promote independent living and economic sustainability in the contexts in which our participants live. These are spaces to discover, develop and actualize the abilities of people with disabilities and their families. It is always essential in these spaces to respect the rehabilitation processes and the context of our participants, as well as to promote their dignified work and social inclusion. 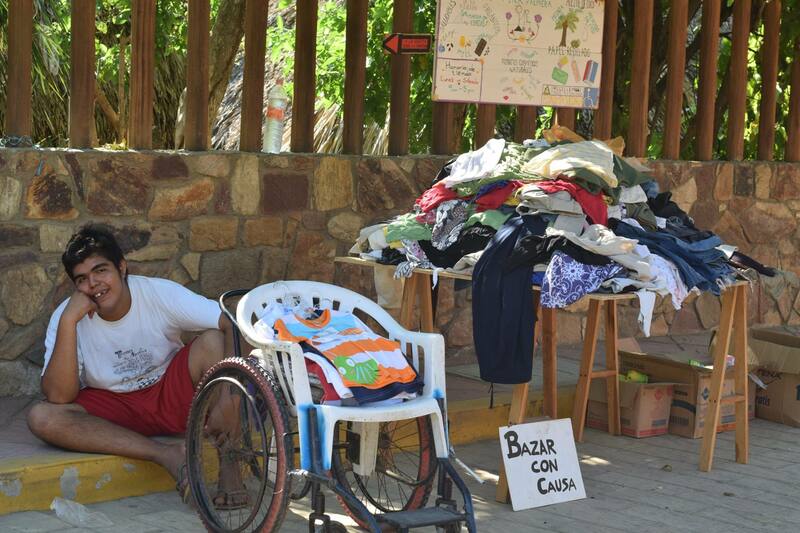 A further objective of the workshops is to generate income to finance our participants’ processes of independent living. Whenever possible, we try to promote products that are environmentally friendly. 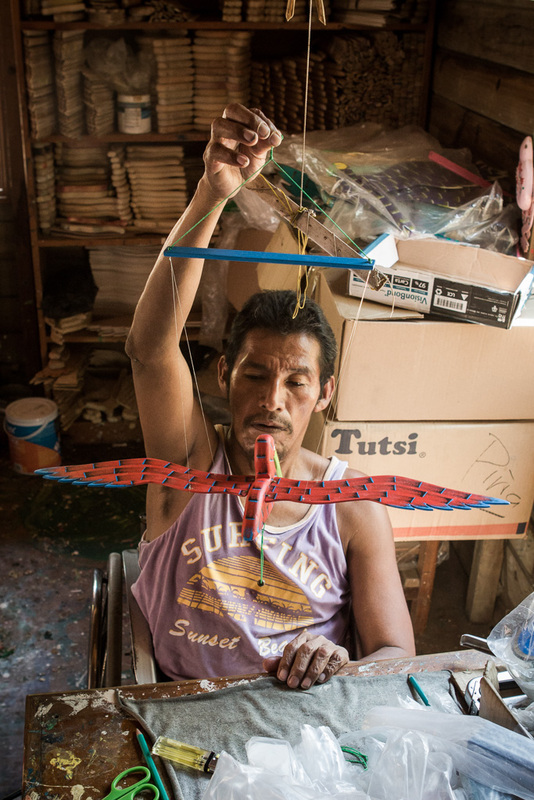 This workshop began with the creation of various wooden toys, developing over time to where we now produce flying (hanging) wooden birds of various species that are local to the area and in danger of extinction. Each piece is unique and carries the artistic signature of the person who built it. These artisanal products go through the processes of cutting, sanding, hanging, painting, and finally, sale. The people with disabilities and their families are taught a part of this process, and then carry out the work in their own communities. Each artist is paid a part of the final sale, and the rest is reinvested in the basic materials from which they are built. Formally initiated in 2000, this workshop had been informally taking shape since 1996. 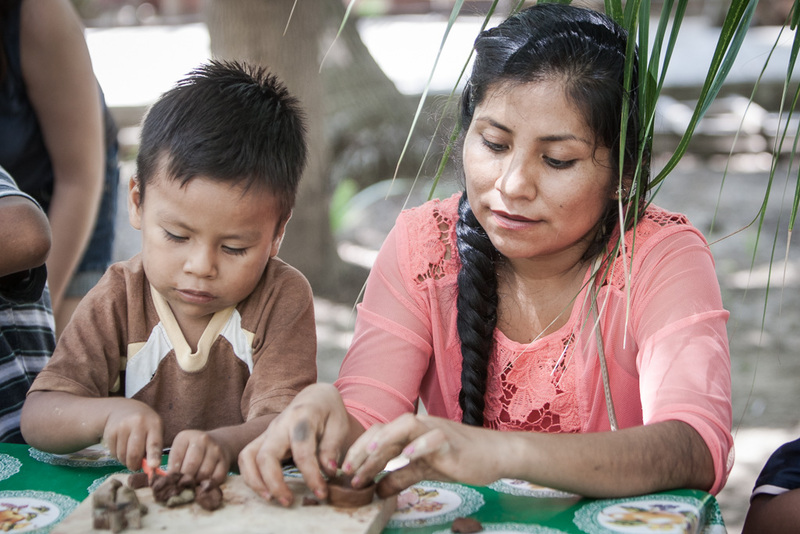 In a small way, this workshop works to counter the effects of deforestation. The products are currently sold for profit, sometimes even as bulk custom orders. We plan to increase and diversify the production of these products in the future. 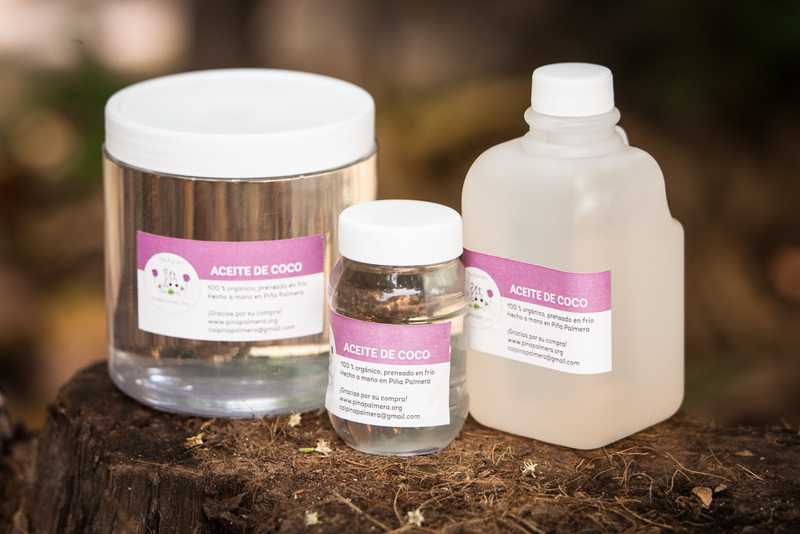 In this workshop we produce 100% organic cold-pressed coconut oil. This workshop began in 2014. The production is done completely by hand, and utilizes no electric energy at all. The process is not fast, but respects the rhythm of nature. The steps in the process include the following: collecting coconuts, manual cutting, sun drying, hand chopping, grinding with adapted grinders and bike-powered grinders, and extraction using a hydraulic press. Among the uses and benefits of our oil are hair conditioning, skin moisturizing, teeth whitening, as well as use in massages, cooking and more. As well as the oil, we also use the pressed coconut and the husk in other natural products, taking advantage of the coconut in its totality. Another recent initiative is the production of natural cosmetic products such as shampoo, medicinal soap, lipstick, creams, deodorant, insect repellent, and toothpaste. All of these products are made with natural ingredients like coconut oil, beeswax, clay, and other natural essences and plants from the region of the coast of Oaxaca. 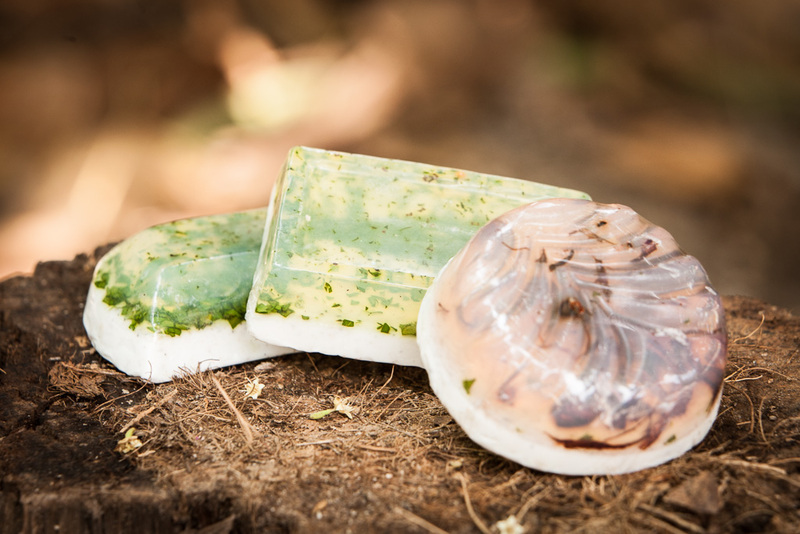 The goal of this workshop-in-construction is to offer an alternative to highly toxic cosmetic products and to strengthen and stimulate the idea of living in harmony with the natural environment. Piña Palmera runs a store with the objective of boosting the regional solidarity economy and fair trade. The products of the various workshops that we promote are for sale in our store. In addition to these products, we have included products from other small-scale producers, cooperatives, artisans and other surrounding communities. Alongside Piña, these actors seek equitable alternatives to commercialize their products. The store is a space where people with and without disabilities alike participate in the construction of projects, in their promotion and in decision-making processes related to their sale. 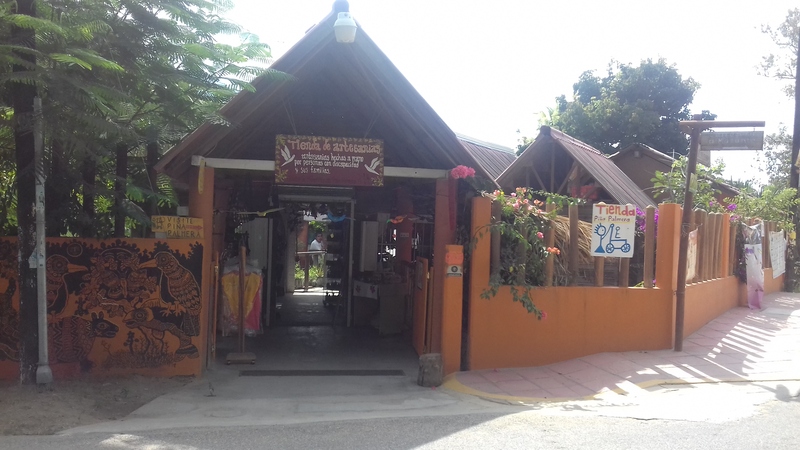 To purchase our products, we recommend that you visit our store located in Zipolite, or view our online catalogs. We also offer gift baskets for special occasions. We are flexible and can accommodate your personalized order for any type of event. Deposit in the name of: Adalberto Ramírez Ramírez. -Shipping costs are not included in receipt. This workshop is different from the others. Instead of promoting subsistence earning and independent living for people with disabilities, it is a creative space open to the community. Anyone of any age is welcome, with or without a disability. There is no formal educational or technical support available, so participants must rely on each other for instruction. The pottery workshop is open on Tuesday from 15:00-17:00 and Saturday 11:00-15:00. Additionally, the staff can use the workshop for pottery pieces made to order. Every other Saturday at Piña, we sell used and new clothing that has been donated to us. The sale takes place right outside our gate near the andador in Zipolite. The purpose is to generate revenue, but it mostly serves to promote interaction with the community. Piña’s Orchard has been adapted for people in wheelchairs. We produce organic fertilizer made from compost and treated with worms. We also have the ability to cure wood in the orchard, which is another service that we offer the community. In addition to cutting the wooden birds sold in the store, we also manufacture and adapt equipment and tools in the carpentry shop for people with disabilities. 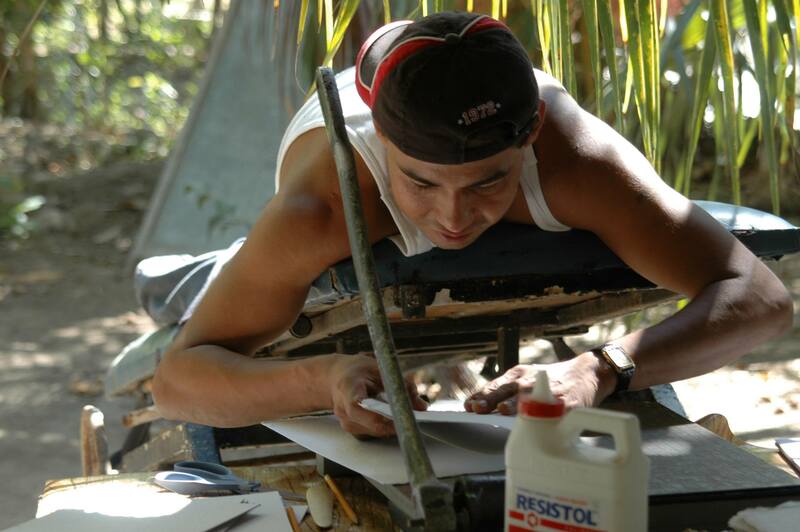 This is also where the furniture and wooden equipment is made for internal use at Piña.